How to Teach a Lesson with an Upbeat! What's an Upbeat? There are 2 kinds of Upbeats - Optimistic and Anacrusis. Both are Equally Important. 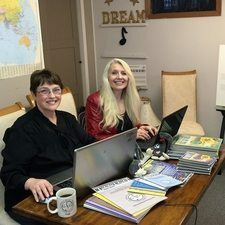 I love collaborating with "Upbeat" Shelagh McKibbon U'Ren! We are passionate about writing and creating amazing workbooks, exams, games and online courses to help you teach with an Upbeat! As teachers, creators, writers, designers and MOMS, we all experience a “down” beat or minor setback that requires us to bounce back. There is a difference between falling and failing. The bounce in "bounce back" converts a fail into a success. Walt Disney said, “You may not realize it when it happens, but a kick in the teeth may be the best thing in the world for you.”. How do we teach a lesson with an Upbeat? NOT brought all materials to the lesson. Teaching each lesson with an Upbeat attitude is the key to the success of the lesson. The word “Upbeat” means happy; cheerful and optimistic. Why do we need to teach it that way? Students feel our energy and are driven to success by learning with an Upbeat attitude (even when we don’t really feel like it). Yes, teaching sometimes requires “acting” with an Upbeat. An Upbeat or anacrusis, also called a pickup note(s), is a term used for unstressed notes in the incomplete measure at the beginning of a phrase of music. This anticipates the first beat of the next measure, the "downbeat". When numbering the measures, the first complete measure (not the anacrusis) is counted as measure number one. The last (final) measure at the end of the music will also be an incomplete measure. Together they equal one complete measure. An easy way to teach students the “Upbeat” is to sing Happy Birthday. 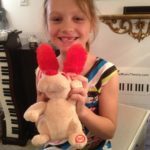 Ask your students to play Happy Birthday on their instrument, learning it by ear. Give them the starting note of G (below Middle C). If they can play Happy Birthday, starting with the Upbeat at their next lesson, they will have a little “Happy Birthday” surprise. Our So-La & Ti-Do Sticker Pack is a "must have" for Teachers who like to offer special "Stickers" to their Students! Have fun! Challenge your advanced students to add chords, improvise and come up with variations on the theme of Happy Birthday. And then let us know which sticker was their favorite one! Here's one inspiring success story that all started with an Upbeat mom named Tanis and her son Alec. "Ultimate Music Theory Books have my stamp of approval. I'm a mom of an 18 year old amazing boy who just happens to have Autism. Because Autism affects his ability to understand language, teaching him has been a challenge. A teacher needs not only to know what to teach, but how to teach him. Through the years, I've grown in my ability to take any curriculum and teach it to Alec. 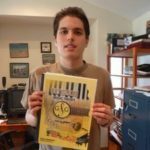 The Ultimate Music Theory books are written in such a way that it was easy for me to help Alec learn music theory. I say "help" because the teaching part of it is self-explanatory. Because of the answer key, I rarely needed to consult his music teacher. It was a big thing for Alec to write his first theory test last June. What is more important than his mark of 90% is his ability to write music, analyse it and understand it. The extra tools that come along with the program are icing on the cake. I love the certificates you can print off the website”. P.S. A conductor indicates an Upbeat or Anacrusis with an upward stroke of his baton or hand as this leads into a new measure - just as we need to teach with an Upbeat or Optimistic attitude with an upward vision that leads into a new lesson. 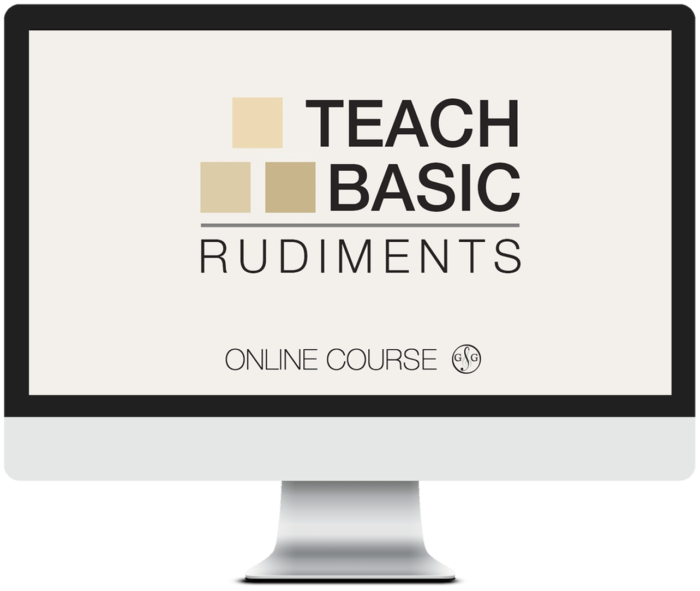 The FREE Tips to Teach Basic Rudiments Online Mini-Course is a FREE Teacher Training Course. Each of the 12 Videos highlights one music theory concept from each of the 12 Lessons in the Basic Rudiments Workbook. This Mini-Course contains quick Teaching Tips to Supercharge Your Class!